This course introduces the essential components of deep learning. Participants learn how to build deep feedforward, convolutional, and recurrent networks. The neural networks are used to solve problems that include traditional classification, image classification, and time-dependent outcomes. The course also presents practical methods used to enhance training data to produce better models. Lastly, a method for efficiently searching hyperparameters is described. Define and understand deep learning. Build models using deep learning techniques. Apply models to score (inference) new data. Modify data for better analysis results. Search the hyperparameter space of a deep learning model. Before attending this course, you should be acquainted with Microsoft Windows and Windows software. In addition, you should have at least an introductory-level familiarity with basic neural network modeling ideas. You can gain this neural network modeling knowledge by completing either the Neural Networks: Essentials or the Neural Network Modeling course. Previous SAS software experience is helpful but not required. 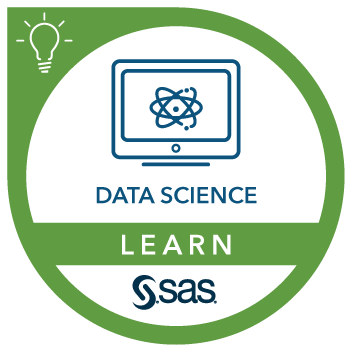 This course addresses SAS Viya, SAS Visual Data Mining and Machine Learning software. Image pre-processing and data enrichment. Sub-types of recurrent neural networks.